Would You Let a Chemical Pigment Determine Which Lakes Region Home You Buy? Of course you would! In late September its hard to resist the influence of these mysterious chemicals. But theyre not in the drinking water; theyre in the leaves. And the Lakes Region is alive with color this fall foliage season. Depending on its biochemical makeup, each tree presents a unique hue. Anthocyanins produce blue, red, and violet colors. Tannins produce brown colors, like those in tea and in the mighty oak leaf. Flavones are the yellow found in sumac, horse chestnut, tea and onions. Like many in the Lakes Region, I prefer maple leaves, but the tenacity of the oak leaf cannot be denied. No matter which autumn color tickles your fancy, youll find it here in New Hampshire. 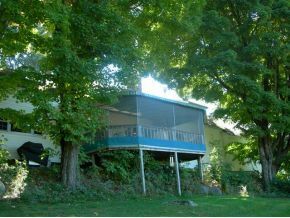 Here are some current Lakes Region listings featuring maples, wooded landscapes, or mature trees. 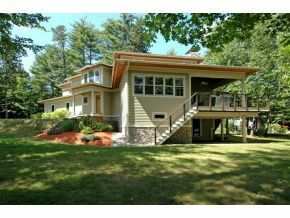 As you can see, this Milton, New Hampshire home is surrounded by deciduous trees. Note the Oak in the foreground; the leaves on this tree won't turn for another month. 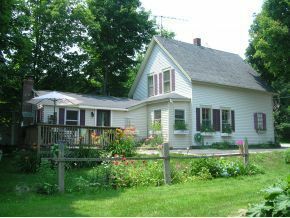 Another Lakes Region home surrounded by deciduous trees, this historic Wolfeboro home features mature perennial gardens! This antique cape in Tuftonboro, New Hampshire features an open floor plan, exposed original post-and-beam, and 33 wooded acres of autumnal bliss. Ah, Fall in the New Hampshire Lakes Region! Very wonderful info can be found on website . Meet our dedicated Rentals Agents!